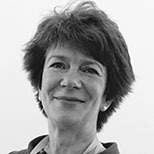 Professor Nicola Thomas has over thirty years experience in clinical practice, education, quality improvement and research. She has a BSc (Hons) in Nursing, a Masters Degree in Education and a Doctorate in Professional Practice from City University London. She started at LSBU in March 2013 in the School of Health and Social Care, where she teaches kidney care to undergraduate and post-graduate students, and also research methods to Masters and Doctoral students. She is Director of Post-Graduate Research and a member of the School's Research Ethics Committee. Over many years she has undertaken teaching, quality improvement and project work for the NHS, Higher Education and third sector. She has a particular interest in the management of early kidney disease in primary care, especially self-management and shared decision making. Professor Thomas has an honorary nurse consultant post at Barts Health NHS Trust where she is involved in educating patients and staff within the East London Community Kidney Service. She has spent many years working within three national quality quality improvement projects managed by Kidney Research UK and has expertise in Improvement Science methods. She is also has a special interest in user (patient) involvement in health care research and education. Nicola was awarded the first joint British Renal Society/Kidney Research UK Fellowship to fund a part-time PhD which she completed in 2010. The aim of her thesis was to work with patients and primary care professionals to develop and test a self-management package for people at risk of kidney disease caused by diabetes. It was a mixed-method study and was carried out in six GP practices in south-west London. Since then she has been part of three large research/quality improvement teams managed by Kidney Research UK and funded by the Health Foundation. These projects aimed to improve the care of people with early kidney disease who were managed in primary care. She has an ongoing research interest in self-management and shared decision-making. From 2014-2016 Nicola is co-led a collaborative project with East Kent NHS Foundation Trust and Barts Health on "The experience of older people in the shared decision-making process in advanced kidney care." One of the key aspects of the study was for patients and carers to be involved in every aspect of the research process. Read the final publication. Nicola is also leading the qualitative evaluation stream in a large Health Foundation funded quality improvement programme entitled "A programme to spread eGFR graph surveillance for the early identification, support and treatment of people with progressive chronic kidney disease". The European Dialysis and Transplant Nurses Association/European Renal Care Association. Transforming Participation in CKD (intervention workstream). Nicola is the Deputy Vice President (Education) for the British Renal Society. Nicola is Editor of the international renal journal 'Journal of Renal Care', published by Wiley-Blackwell. She is a member of the NICE Clinical Guideline Development Group for renal replacement therapy (2017-2018). She is a research grant reviewer for the Medical Research Council, Kidney Research UK, Diabetes UK, NIHR and Research for Patient Benefit research programmes. Nicola is the editor of two renal nursing textbooks, including 'Renal Nursing' published by Wiley Blackwell. She has also written online learning materials in collaboration with OCB Media.